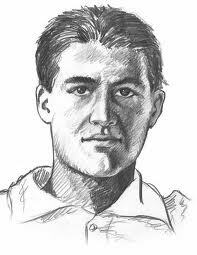 Today is Blessed Pier Giorgio Frassati‘s 112th birthday. As a friend who brought this Litany to my attention said, “it’s a great piece of reflection for students and for those of us looking to be life-long learners.” Let‘s pray to Blessed Piergiorgio for the grace of being a better friend, Christian, apostle and person of the Beatitudes. Let us pray, Father, you gave to the young Pier Giorgio Frassati the joy of meeting Christ and of living his faith in service of the poor and the sick. Through his intercession, may we, too, walk the path of the Beatitudes and follow the example of his generosity, spreading the spirit of the Gospel in society. We ask this through Christ our Lord. Amen.